The leader of the British National Party, Nick Griffin is expected to be the keynote speaker at the ‘American Renaissance’ conference February 19th – 21st. The conference is due to be held at:*The Westin Washington Dulles Airport 2520 Wasser Terrace, Herndon, Va. 20171 United States. In June 2009 he stunned the political establishment by winning a seat in the European Parliament, representing North West England. He is widely recognized as one of Britain’s most colorful and dynamic young politicians. Yes, that's right, the topic of the speech that Nick Griffin is presenting to American Renaissance is - himself; a man not only dynamic, but also full of colour. However, in order to speak at the meeting of white supremacists, neo-Nazis and other denizons of US extreme politics, Mr Griffin has to leave on a junket to the United States. In this he would be be neglecting his constituents who elected him to the European Parliament. No problem. He has done this before. When parts of Cumbria were flooded last year, Griffin was at a meeting of European racists. But he did write a letter to those flooded out to express his sympathy. More importantly, if Griffin goes to this "jolly" in the US, he neglects his own fight for election to the British Parliament in the approaching British general election. Bearing this in mind I am doubtful that Griffin will actually turn up to deliver this speech. His ambition to gain access to Westminster as an MP for Barking is too important to jeopardise. It seems more likely, in my opinion, that Griffin will eventually pull out of speaking in the USA, citing harrassment. When the BNP has a set-back it habitually blames political correctness, media, liberals, LibLabCons, zionists, muslims, non-white people and practically anything else but itself. Nick Griffin has won sympathy in the past by "playing the martyr". This is a well-established BNP strategy. Therefore, taking a gamble, and based entirely upon past performances of the leader of the BNP, I speculate that the BNP leader's supposed visit to address American racists is cunningly planned to be BNP Publicity Stunt II. The BNP leadership seems to believe that any publicity is good publicity, because it gives their noxious racist party 'brand recognition'. They believe that this 'brand recognition' is all that is required for people to vote for them in the coming general and council elections. Working on the conviction that the British people are too stupid to make up their own minds about who to vote for, the BNP has embarked upon a programme of publicity stunts designed to keep their name in the media. Unless, of course, Griffin has already given up the fight for the BNP and has an eye on a future lucrative US speaker circuit career. Anyone care to take a wager? The AR conference has now been cancelled at the Dulles Marriott and the Washington Dulles Westin hotels, probably as a direct result of complaints to the management for considering hosting such a divisive event. We expect “white nationalist” group New Century Foundation / American Renaissance to attempt to reschedule their Northern Virginia event at other Dulles airport area hotels. We urge such other hotels to follow the example of the Dulles Marriott and the Dulles Westin in considering the ethical costs that would be associated with white supremacist conferences. Hate hurts us all. We urge other area hotel leaders who might be reading this – don’t let your hotel be used to host hate and to mock our very principles of human equality. Tell “white nationalist” group New Century Foundation / American Renaissance that there is no room for hate in the Washington DC metropolitan area and suburbs. We support our unqualified, universal human rights for all. We urge white supremacist and “white nationalist” supporters to drop the burden of the hate of supremacism from their hearts, and to rejoin the family of humanity in support of our universal human rights. Leaders of the largest trade unions in the UK, Ireland, North America and Canada have made a fierce protest against the decision of a large hotel chain to host a conference due to be addressed by the leader of the far right British National Party (BNP) Nick Griffin. In a letter to the Westin Hotel from the world’s first international union, Workers Uniting which represents three million working people, expresses deep anger about the decision of the management to allow an individual whose views are so offensive to many to address a white supremacist conference on its premises. The Westin Hotel chain has over 160 hotels and resorts worldwide. Workers Uniting, the world’s first global union is a partnership between Unite from the United Kingdom and the United Steelworkers (USW) from the United States and Canada. Workers Uniting is appalled that the Westin would allow an individual whose views are so offensive and abhorrent to many, to hold a public address on its premises. You should be aware that a court order was made against the BNP after legal proceedings were issued against them on grounds that their membership requirements discriminated on grounds of, amongst other things, race. In 1996 Griffin received a nine-month prison sentence (suspended for two years) after being found guilty of distributing material likely to incite racial hatred. As well as this, Griffin is reported to have referred to the Holocaust as the 'Holohoax'. Derek Simpson, Tony Woodley and Leo Gerard are urging the hotel management to reconsider their decision in order to avoid serious reputational damage to their business. Sending aid to rioting ingrates while our own people die is stinking elite hypocrisy. Calling suffering Haitians “rioting ingrates” is pure heartlessness, and now I’m more committed than ever to stopping this man from becoming an MP in Barking and his party from winning council seats across the country. We’re planning to fight back on 13 February with a national Day of Action which will deliver over 500,000 pieces of anti-BNP literature. But for this to happen, we need to raise £15,000 – can you donate to help us stop the BNP? Based on the London Assembly elections, Griffin could become an MP with a swing of just 3.8%. The response to the earthquake in Haiti has brought out the best in us, with many thousands of people contributing money and time to help the Haitian people. It has also revealed Griffin’s callous disregard for human life and lack of any sense of compassion or justice. The thought of him winning a seat in Westminster horrifies me. But it is a reality we may wake up to in a few months time. On Feb 13th we’ll be working hard to stop this happening: in our key battlegrounds – Barking, Dagenham and Stoke-on-Trent – we’ll be delivering special newspapers. On top of this we’ll be delivering over 400,000 leaflets across the country. We’re aiming to distribute over 500,000 pieces of literature in total – can you donate £10 to our cause to make this happen? We don’t have big corporate sponsors or millionaire funders – what we have is you. Please contribute £10 or whatever you can afford to help pay for our Day of Action. We have proved time and again that when we organise against the BNP we stop the BNP. The maths are simple – but I need your support to make sure we can put this infrastructure in place. Please donate whatever you can afford now. If you are interested in Hope not hate, Norfolk's local work against the BNP, please do not hesitate to email to offer volunteer time for leafleting, canvassing or other campaign work in the region. Email Hnhnorfolk@gmail.com giving a contact number. Thank you. In one article published today, Edmund Standing demonstrates how the BNP’s ‘voluntary repatriation’ policy is a sham. The BNP’s policies for radically reversing more than 60 years of demographic change are completely unworkable and ideologically racist. In order for their plan to be fully realised, Britain would have to see ‘ethnic cleansing’ take place on a large scale, whether through deportation, sterilisation, or extermination. While the BNP’s new image is populist and patriotic, its policies would ultimately lead Britain down the road to Fascism. A few days ago There's Nothing British About the BNP began a series of brief articles that calculate how much various BNP policies will cost each one of us in hard cold cash. There's Nothing British About the BNP has worked out that BNP tariffs on imports could cost £1,300 per person, that the BNP’s manufacturing plan would lose 8 million jobs, and that closing the City could cost you another £1000 - and these are just the first three articles in the series. Leaving aside all questions of morality, BNP policies do not make much sense. Take the BNP's foreign policy - it seems characterised by wilful ignorance and insult, as shown in this BNP leaflet: Not only is it unnecessarily rude, it is factually incorrect. It assumes that all Turks are Muslim, overestimates their number (the population of Turkey is less than 75 million, and includes children and old people of course), and implies all are 'low-wage' and waiting to "swamp Britain". What on earth has the business of a British election got to do with Turkey? Further evidence if it were needed that they don't understand the core principles of democracy and free speech and have no right to be part of Europe. A belligerently undiplomatic attitude that seems designed to stir up even more trouble. Britain’s foreign relations should be determined by the protection of our own national interest and not by our like or dislike of other nations’ internal politics. We would have no quarrel with any nation that does not threaten British interests. We will maintain an independent foreign policy of our own, and not a spineless subservience to the USA, the ‘international community’, or any other country. Fine words for a sort of British splendid isolation, except that they are untrue. The BNP cultivates its subservience to the US for as long as the BNP leadership goes cap in hand to rallies of white supremacists, neo-Nazis and the KKK in the United States of America. In fact Nick Griffin is expected at a meeting of the US far-right next month, abandoning his responsibilites as an MEP and his campaigning for a seat in the British Parliament for this latest fund raising junket. In addition Nick Griffin, MEP, has set himself the task of joining with other European far right groups represented in the European Parliament, chasing European funds, also in contradiction to the BNP's stated aims. In the past Griffin has had contact with others he regards as fellow 'nationalists', especially if he believes they might further his personal ambitions or if they might fund himself and his party. In the eighties Griffin developed a close political relationship with Roberto Fiore, a convicted Italian terrorist, who was then living in the UK on the run from justice. In 1986 Griffin took a fundraising trip to Libya as guests of Colonel Gaddafi's regime. He also made contact with Ayatollah Khomeini of Iran, the US black separatist leader Louis Farrakhan, and both sides of the conflict in Ireland. More recently Griffin revealed in a wide ranging interview with Russia Today last year how his party was building stronger ties with an increasingly nationalist Russia and Europe’s last dictatorship, Belarus, saying the UK needs a nationalist answer to globalism - paradoxically including strong links with other nationalist parties abroad. But not all nationalist countries. Turkey, for example, is a nationalist country, but prospects of closer ties with the BNP seem dim. If anyone is in any doubt about the nastiness, inhumanity and racism of the BNP then their response to the disaster and devastation in Haiti and an issue closer to home, their attitude to asylum-seeker children in the UK, illustrates this in ways that can only shock. British National Party Party leader Nick Griffin criticised the Haiti aid effort in the following way. I am frankly sick and tired of seeing media stories about simpering white people in some foreign hell hole run by the most violent and corrupt despots on the planet, swanning about before the cameras acting smug and superior over dealing with ‘johnny foreigners’ whilst ignoring the devastation, mass deaths and tens of thousands of dying people in their own countries. Fortunately the British people have responded to the humanitarian crisis in Haiti in precisely the opposite way, thus demonstrating the sort of compassion and humanity that I am proud of – one that recognises when we need to help people in dire need and whose need is clearly greater than our own, irrespective of the nationality or race or ethnicity of the person concerned. The reference to “johnny foreigner” makes me sick to my very being and strengthens my resolve to oppose a political party that can voice such distasteful and vile views. In excess of £2.5million has come out of Northamptonshire tax-payers income tax rather than their council tax to pay for the upkeep of just 112 children in the last financial year who should have been immediately sent back to their country of origin, or back to the last country they travelled through before arriving in the UK. Whatever the issues are around asylum-seekers, the one thing that any decent, humane and caring person will agree with is that we should provide support to children who find themselves (for whatever reasons) in the UK without their parents or any other family member to care for and protect them. Most, if not all, of these children will be deeply traumatised, having been trafficked to the UK and dumped here, probably on or near the M1. Many will have been abused and injured during their journey here. The stories of how and why such children are here will be complex and complicated – but as children they are not to “blame” for the predicament that they find themselves in. Such attitudes would lead directly to genocide and gross and disgusting human rights abuses if ever the BNP got even a whiff of power. For this reason, and this reason alone, we must stand up and aim for the defeat and humiliation of the BNP as a "political" party and the relegation of the ideas they stand for to the history books. Left Foot Forward is carrying an interesting story that Nick Griffin MEP is to attend a white supremacist conference in America. BNP leader Nick Griffin will join Ku Klux Klan members, neo-Nazis, holocaust deniers, anti-immigration extremists and eugenicists at the white supremacist American Renaissance conference in Virginia next month. Griffin is an enthusiastic attendee of these sorts of racial hygiene events. He has regularly visited similar conferences hosted by the conspiracy theorist David Duke in America with his wife Jacqui. In May 2005 Griffin attended Duke’s European-American Conference in New Orleans, Louisiana. Also at the conference was the Swedish National Democrat’s ideologue Vávra Suk, Front National’s Jean-Michel Girard, Simon Darby (deputy-chairman of the BNP), Karl Richter and Marcus Haverkamp from Germany’s neo-Nazi party National Democratic Party (NPD), Deirdre Fields from South Africa, Don Black the founder of the neo-Nazi forum Stormfront, Lady Michele Renouf and a host of other white supremacists and extremists. Griffin has spent 10 years attempting to re-model his party into a popular nationalist movement that supports neo-racism and non-integrationist ethnopluralism. Attending this conference would do serious damage to the BNP’s cosmetically enhanced image. HnhNorfolk agrees with the point 'Nothing British' makes (above) that attending this conference "would do serious damage to the BNP's cosmetically enhanced image". So why would Nick Griffin contemplate such a move? In our opinion it cannot be said that the accounts comply with the requirements of the Political Parties, Elections and Referendums Act 2000, as adequate records have not been made available. In addition, the BNP is not receiving any new membership fees since the Equality and Human Rights Commission took legal action against the party, freezing membership applications, accusing it of breaching race relations laws. Even the most loyal and long-suffering of existing BNP members are starting to question the BNP's accounting practices, and many members have already left the party in disgust. The BNP often proclaims itself as being totally independent of the US and other foreign countries. The European Alliance of National Movements (AENM), the coalition of far-right parties formed October 2009 in Budapest, has failed in its an attempt to get its hands on European Parliament cash, as the jumble of reactionary rightists did not manage to file the application on time. There have also been numerous questions raised over the years about the BNP's acceptance of donations from the US far-right through various intermediaries (see here, here and here). Surely Nick Griffin will not risk the credibility of the BNP, such as it is, in order to solicit funds from the US far-right? This blog will try to identify each of those foolish, unnecessary, time-wasting, sometimes embarrassing, always self-promoting publicity stunts as they appear in the weeks ahead. Your suggestions are welcome. The British National Party is so concerned about fraud at the general election that it intends to place its own seals on ballot boxes. The party fears its opponents will seek to sabotage its aim of winning a seat in Parliament for the first time. So it has invoked the Ballot Act of 1872, which allows candidates to put their own seals on boxes, in an effort to avert tampering. Independent election officials always seal boxes when polls close. BNP spokesman John Walker said his party would apply its own seals in the London seats of Barking - where leader Nick Griffin is running - and Dagenham and Rainham. The BNP hopes to do well against incumbent Labour MPs in both contests. We know it happens. We just cannot prove it. It is a shame we have to invoke these things. But some council staff are in the pocket of the local Labour party and we suspect they would use any means to tamper with votes. We are confident that when the general election comes the British people will clearly reject the disgusting politics of the BNP. That will be because their politics are vile and divisive not because of any bizarre paranoia about ballot boxes. It is outrageous for the BNP to attack the morality and integrity of the Local Government workers, who handle the ballot boxes. It is a mark of a paranoid and desperate party. They need to face facts – they are not getting any votes because the British people are not swallowing their racist views. (Not sure who photoshopped this one. Whoever it was, good one). It’s been another busy few days getting everything for our 2010 campaign. We’ve been raising money, sorting out schedules with the printers and frantically putting the finishing touches to our new campaign office, which should open later this week. We’ve taken on two new members of staff, one dedicated to developing and supporting local HOPE not hate groups and the other to work exclusively with faith communities. We’ve also been building capacity for our offline activism. An incredible 7,200 people have signed up for our 2010 campaign, with almost 4,600 committing themselves to be active in their local area. Over the next few weeks we expect to launch dozens of new HOPE not hate groups as we begin to organise the 1,245 people who have said that they are willing to become local organisers. Obviously our focus has to be prioritising the areas at the greatest risk so it is fantastic that 2,166 people have indicated their willingness to travel to our key priority areas. We are building something really special. Even the BNP appear to be getting rattled. In their latest leaflet, distributed in Barking & Dagenham over the weekend, they began to warn voters about outsiders ringing them up. The fact that most of the 60 BNP supporters who were out came from outside the borough obviously is completely different! What Will You Do To Stop Griffin? The BNP are on a high after Nick Griffin’s election as an MEP. And now Griffin has announced that he’ll be standing in the General Election to be the next MP for Barking. In response, more than 6,000 people from across the country have stood up to Nick Griffin and said: “never again.” But what’s been even more amazing is that thousands of people have said they will act to stop this happening again. Thousands have offered to organise. Thousands have offered to make phonecalls. What will you do to help? Say “never again” and then sign up to take action. The BNP have announced plans to spend more than ever before on the General Election – both in Barking and Dagenham but also throughout the country. That means we need to hit the streets and organise carefully now, before it’s too late. And to put all of our resources in the right place we need to know what our supporters will do to help out. There are a couple of questions I’d like you to answer and after you sign up we’ll send you a detailed strategy document about how we plan on moving forward in the coming weeks and months. We need to each take ownership over the end result and work as hard as possible to make sure Griffin and his BNP fascist sidekicks don’t win a seat in Westminster. So what will you do to stop them? Click below to see what we’re doing to stop the BNP and let us know how you will help. The next eighteen months will determine whether the British National Party can build on its European election success and become a permanent fixture on the British political landscape. With a possible change of Government, mass disillusionment with mainstream politics and the worst economic recession since the war, there should, on paper at least, never be a better opportunity for the BNP to expand its base. The election of two MEPs has allowed it to give paid employment to more than a dozen of its key organisers and it has already established itself as a household name. In the eyes of some voters, it is the ultimate and possibly the only protest vote. However, the opportunity presented to the BNP will not last forever and the fascist party needs to do well in the forthcoming local and general elections if it is to maintain its momentum. And that means winning dozens of new council seats and strong double-digit results in its key parliamentary seats. The BNP is likely to contest over 200 parliamentary seats in the general election. Although many of them will be little more than paper candidates, the party will be looking to save its deposit in the majority by securing at least 5% of the vote. In a handful of seats it will hope to do a lot better and in one, in Barking, in east London, Nick Griffin, the party leader, will push the incumbent MP close. Although Griffin remains the underdog he will be hoping that the strong BNP support on the Becontree estate pushes him over the line. On the surface it would appear that Griffin has a big hurdle to overcome if he is seriously to threaten to take Margaret Hodge’s Barking seat. In 2005 the BNP polled 17.0%, which, though it was the highest ever BNP result in a parliamentary election, was a long way off Hodge’s 47.8%. However, events since then have moved in the BNP’s favour. The 17% was gained before the BNP really took off in the borough and only a year later it polled 41% in a large section of the constituency in the council elections. Boundary changes have also helped Griffin, bringing three strong BNP wards into Barking from neighbouring Dagenham. Griffin’s notoriety will also be a boost, while Hodge will suffer from the national swing against Labour, currently measured at 8%. Of the 11 wards that make up the Barking constituency, the BNP is considered frontrunners in five, neck and neck in one and close to Labour in another two. In only three wards will the Labour Party begin the campaign comfortably ahead of the BNP, though these are areas where we would normally expect a higher turnout. He will also be helped by the decision of the Christian Party to make Barking the main focus of its election effort. While the CP has absolutely no chance of winning, it could take enough votes from Labour to hand the seat to the BNP. The BNP will also hope to do well in Thurrock, Essex, where in the European election it received 17.5% of the vote, just behind Labour (18.3%), the UK Independence Party (21.7%) and the Conservatives (22.8%). May’s local elections offer the BNP its best chances for success. Searchlight has identified 100 wards where the BNP poses some form of threat. Of these 30 are wards where the BNP is defending seats. . . Overall, Searchlight is expecting the BNP to contest in the region of 1,000 council seats in 2010, which would be a record. Many will be in London, where every seat is up. The 100 risk wards include 53 where the BNP either came first in the last election it contested there or needs a swing of less than 5%. The BNP threat is concentrated in a handful of local authority areas. The 100 risk wards fall in 30 local authority areas. However, 51 of them are in just 10 local authority areas. The concentration is even more stark when one counts the highest risk wards. All but three of the 25 wards most at risk fall in 10 local authority areas, as do 38 of the 50 most at risk wards. Most of the risk wards also happen to be in the BNP’s target parliamentary seats. As reported in last month’s Searchlight the biggest threat lies in Barking and Dagenham, where there is a serious risk of the BNP winning control of the council and possibly even a parliamentary seat in the general election. Barking and Dagenham was already the front line for this year’s elections even before Griffin announced that he was standing in Barking in the general election. The BNP currently has 12 councillors in the borough and needs 26 to take full control of the council. In the party list section in the 2008 London Assembly elections, the BNP came first in seven of the borough’s 17 wards and within a whisker of winning three other wards. The same vote in a council election would give the BNP at least 21 seats and place it neck and neck in another nine – enough to put the BNP within striking distance of taking overall control of the council.Griffin and the BNP will be hoping that his decision to contest the Barking seat will generate the same media interest and frenzy that propelled the party’s 12 councillors to victory in 2006. . .
A key determiner in the local elections is whether the general election is held on the same day. The traditional view is that the BNP will not perform as well in a general election as it does in local elections. Certainly, that has been the case in the past but whether that is true now remains to be seen. The BNP has hardened its vote and, as was shown in the European election, it can poll well in national contests. While the BNP vote is likely to be squeezed by the major parties, it might well hold up stronger than it did in 2005. The HOPE not hate campaign will prioritise the key risk wards in the local elections. While we will produce general material that can be distributed wherever the BNP stands, our main focus will be in those wards where BNP councillors are up for re-election and where BNP candidates stand a good chance of winning. Our general election priorities coincide with our key local authority priority areas. The HOPE not hate campaign has two clear objectives, to suppress the BNP vote and to turn out the anti-BNP vote. We will do the first by highlighting the true nature of the BNP, challenging its lies and myths and exposing the poor quality of its existing councillors. We will once again work closely with the Daily Mirror, producing localised tabloids and supplements in the main newspaper, and hosting another HOPE bus tour. The stakes are high in 2010 but so are the rewards. The BNP could take control of a local authority, win a parliamentary seat and have dozens of new councillors. The alternative scenario is that the BNP falls short in Barking and Dagenham, Griffin is humiliated in Barking and a large chunk of its councillors lose their seats. The first situation would give the BNP a platform for a major assault on the 2011 local elections. A failure this year could initiate a period of decline for the party. Which scenario wins out will depend largely on how successful we are. We have proved in recent council by-elections that we can beat the BNP in its strongest areas. However, given the scale of the threat we cannot do this alone. The 2010 HOPE not hate campaign will be our biggest yet. For it to be successful we need everyone to get involved. Most of us are moved to compassion by news of Haiti's catastrophic earthquake which has probably killed over a hundred thousand. Most of us support our government's contribution to international efforts to help the traumatised citizens of that country. Many are making personal donations to help the wounded and homeless of Haiti. Not all of us, however. Earthquake tremors have shaken some racists out of the woodwork, too, and into the open, like cockroaches whose hiding places have been disturbed. A few racists scurried over themselves to make the nastiest comments, and these spontaneous reactions are very revealing, as they were apparently unguarded. In Britain, Tabloid Watch remarks "Mail doesn't put Haiti on front page, plugs free DVD instead" and 5cc writes of Mail lack of coverage "Never mind the earthquake, feel the voodoo". In the US Rush Limbaugh was the first to "tell it like it is". On his Jan. 13 radio show, Limbaugh vented to listeners that Obama was happy for the quake in Haiti, as his administration will "use this to burnish their, shall we say, credibility with the black community, in the ... the both light-skinned and dark-skinned black community in this country. It's made to order for them." Next, it is reported: "In the wake of Haiti's catastrophic earthquake, which has claimed tens of thousands of lives, television evangelist Pat Robertson took to the airwaves to provide the hidden explanation for the rubble of Port-au-Prince. "On "The 700 Club," Robertson laid historical blame at the feet of the Haitian people, stating, "They were under the heel of the French ... and they got together and swore a pact with the devil. They said, 'We will serve you if you'll get us free from the French.' "
Mr Griffin, chairperson of the BNP, often boasts that his party's foreign policy will be independent of US influence, and yet he proves himself dependent upon money from the white supremecists of the US and very much influenced by their actions. Apparently not to be outdone by the US bigots, Griffin has described UK aid to Haiti as "stinking elite hypocrisy". According to the BBC, Griffin's original postings, on Facebook and Twitter, said: "While the Haiti earthquake is terrible, the winter death toll in Britain will be similar. No aid here though." Griffin's lapdog racist supporters have blogged in similar vein, with many comments are even worse, and not for repeating. One platform of the BNP's election manifesto is 'no foreign aid', which not only excludes compassionate responses to disasters like the Haiti earthquake, but also nixes far-sighted long-term projects such as programmes of education and health in the poorest developing nations, including information on reproductive health and family planning. The BNP cannot expect to be taken seriously when exposed as not only lacking in compassion but also as completely lacking in common sense. Reports of racial and religiously motivated crime rose following the election of British National party councillors in several far- right strongholds, police statistics have revealed. 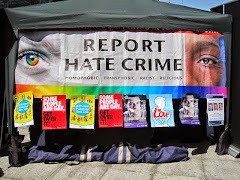 Complaints of hate crime increased in wards in the West Midlands, London and Essex after the election of a BNP member, in spite of declines in reported hate crime in the wider police areas. In other wards race crime reportedly rose in the runup to BNP election victories, according to the figures, obtained by the Guardian under the Freedom of Information Act. The findings came as the party stepped up its campaign to win its first seats in the House of Commons with a "weekend of action" in Barking and Dagenham, where the culture and tourism minister, Margaret Hodge, faces a challenge for her Labour seat from BNP leader, Nick Griffin. Hodge said the new figures cast doubt on police assurances that there is no link between racially motivated crime and a BNP presence. Yesterday, BNP member Terence Gavan was jailed for 11 years after police found nail bombs and 12 firearms at his home in the borough of Kirklees, West Yorkshire, where the BNP has councillors. The Old Bailey heard that Gavan harboured "a strong hostility" towards immigrants. One of the biggest increases in hate crime came in Barking's Eastbury ward, where racially motivated violence, theft and criminal damage more than doubled in the year after Jeffrey Steed won a council seat for the BNP in May 2006. A year later, hate crime rose again and 45 racial incidents were reported in 12 months. The figures suggest that if the BNP wins more seats, people from ethnic minority and gay communities could face greater persecution because racist and bigoted views will have been further legitimised. This is due to an increase in the ethnic [sic] population. There are more people who are prepared to go to the police complaining they are victims. The Guardian has analysed data from 11 police forces covering 29 wards across England where voters have elected BNP councillors in the past six years. In eight wards reports of hate crime rose following BNP election wins despite a wider decline across the police force area. It declined in 14 wards, in line with force-wide reductions, and there was no change in four and an insignificant amount of data in three. In Essex, complaints of race crime rose after the election of BNP councillors in parts of Epping Forest, while in Chelmsley Wood, a suburb of Birmingham, the ­average annual incidence of race crime almost doubled after George Morgan won a seat for the BNP in May 2006. In the four years before his election, there were an average 11 incidents a year rising to an average of 21 a year in the following four years. West Midlands police said some cases involved assault, while most were incidents of verbal abuse in shopping centres, taxis and in the police station with white and Asian victims. Detective Chief Inspector Sharon Goosen said: "None of the offences reported in the area since 2006 can be directly attributed to an elected member or political organisation." The BNP is understood to be planning to field more than 1,000 candidates in local elections and 300 candidates in the general election. Griffin and the BNP deputy chairman, Simon Darby, who is standing for Stoke Central, are considered to have the best chance of winning seats at Westminster. Last year was the most successful for the British National Party since Nick Griffin took the helm in 1999. A decade as leader of the BNP was crowned in June when Griffin and his fellow veteran fascist Andrew Brons were elected as Members of the European Parliament for the North West and Yorkshire and the Humber regions respectively. This victory, generated largely by the MPs’ expenses furore and voter apathy, gave the BNP an international platform and generous European funding to staff the MEPs’ constituency offices. Griffin did not have it all his own way, however, and 2009 was not without its setbacks for the party. The BNP began 2009 nearly £170,000 in debt, a sizeable sum for a party with a turnover of around £1 million in 2008 and an inauspicious start to its European election campaign. A big rise in staff and administration expenditure was largely responsible. Its turgid racist publications continued to be loss leaders. In an attempt to make Identity more saleable, and financially viable, Griffin ordained that the magazine should cease monthly publication and become quarterly. Voice of Freedom, which Searchlight revealed Griffin wanted to scrap, was kept on out of obduracy but its editorship passed from Martin Wingfield to Mark Collett, who surprisingly has so far failed to run it into the ground, although it compares poorly with Wingfield’s editions. The BNP has turned increasingly to the internet as the principal means of communicating its message and bypassing what it believes to be a conspiracy by the “controlled media”. The BNP contested 83 council by-elections during 2009. Its first foray took place on 23 January when Michael Barnbrook, a former police inspector, contested East Wickham. A hard fought campaign left the BNP with 26.5% of the vote and within a whisker of victory in a seat it believed it would win. The rest of the year was a similar story of wasted effort and dismal defeat with conspicuous failures in Barnsley, Sandwell and South Oxhey. The sole exception was a shock victory for Paul Golding in Sevenoaks, Kent, in February, though the local newspapers soon exposed him as a liar and a do-nothing councillor. Two BNP councillors resigned their seats in 2009, one in Nuneaton and Bedworth, the other on Loughton town council. Both by-elections were held on 10 December. On the eve of poll Simon Darby, the party’s deputy leader, speculated expectantly: “Now things are finally starting to settle down a bit we can look forward to more reliable voting patterns with a view to predicting what may happen at the general election”. The double defeat was probably not what he had in mind. In both these by-elections and many other elections during the year the HOPE not hate campaign was central to letting voters know the true nature of the BNP. There were raised eyebrows when Pat Richardson, the token Jewish BNP councillor, attended an American white supremacist conference on the theme of “Preserving Western Culture”, which involved a number of Jewish racists and Islamophobes keen to distance themselves from the antisemitic outbursts of men like David Duke. This was part of a broader strategy by Griffin to distance the party from the stain of antisemitism, which bedevils far-right politics in Britain. At the beginning of the year Griffin stated that he had “no time” for antisemites, despite being one himself and surrounding himself with them. It failed to fool anyone other than some of the more gullible BNP members. The centrepiece of the year was of course the European election campaign. The BNP set out its stall early with a provocative “Battle of Britain” theme, which misappropriated iconic images of the Second World War in an attempt to draw parallels between the fight against Nazism and the BNP’s fight against “Islam”. The universally derided campaign got off to a bad start when someone noticed that the Spitfire fighter plane pictured on the BNP’s website and leaflets belonged to the 303 Squadron of the RAF, consisting of Polish flyers, undermining at a stroke the party’s campaign against East European immigrants. Griffin’s continual wearing of the poppy in an effort to associate himself with the Armed Forces angered the British Legion, while his usurpation of Churchill’s image angered the Churchill family and several senior military personnel. The BNP campaign was hampered from start to finish by its ineptitude and extremism, which brought a welter of negative publicity. Aware that this was its biggest chance to break into the political mainstream, the BNP pulled out the stops to shed its extremist image. This did not go according to plan. Searchlight drew the media’s attention to the party’s Activists’ and Organiser’s Handbook, which stressed the need for the BNP to counter the party’s stereotypical thuggish image by urging members to be seen as ordinary people not as “shaven headed football thugs”. The Language and Discipline Manual provided a similarly rich seam for the media to mine with its claims that “Black Britons” and “Asian Britons” “do not exist”. This exposure of the party’s core racist ideology led to the hurried removal and rewriting of these documents as well as some awkward questions for Griffin. The party suffered from equally negative publicity when Searchlight tipped off the media that Darby was going to Milan, Italy, to address a conference of the fascist Forza Nuova. He was photographed entering the building greeted by fascist salutes without any objection from him. The media also seized upon racist remarks about a black Victoria Cross winners and election leaflets featuring foreign actors to depict “British workers” and BNP sympathisers, which made the party look particularly foolish. Much of this negative publicity was orchestrated by Searchlight, which ran a highly effective media operation throughout the campaign. Both Darby and Wingfield, not to mention Griffin himself, paid a backhanded compliment to its effective ferocity which, by the eve of poll, the BNP had come to believe had cost it the election, in which it had previously confidently boasted of winning up to 12 seats. Against the backdrop of the expenses scandal Labour voters in particular stayed away from the polls on 4 June. In an election based on proportional representation this was all that was needed for Griffin and Brons to win election. This was galling, though some consolation could be gained from the fact that in both regions the BNP vote was lower than in the 2004 European election. The shock was palpable. In the six weeks after the election over 95,000 people signed HOPE not hate’s Not in My Name campaign. On the same day the BNP fielded 428 candidates in the county council elections, including a full slate of 75 in Essex. It won just three seats, all in areas that have seen sustained BNP campaigning in recent years, signalling a small foothold in a new layer of local government that the party had hitherto failed to penetrate. Victory was not without its costs. The BNP spent “nearly £600,000” to get Griffin and Brons elected. In the aftermath party administrators confessed that it had been left “bruised” by the outlay. One of its bigger donors last year, giving £5,105, was Eileen Sheridan-Price, a former beauty queen and a friend and admirer of the villainous Kray twins who she believed made the East End “a much nicer, safer place”. The Krays were gangsters involved in torture, armed robberies, arson, protection rackets and murder to enforce their will. They were both convicted in 1969 and sentenced to life imprisonment, so much for the law and order policies of the BNP. Griffin’s attempts to bask in glory were short-lived. His effort at a victory speech from College Green opposite the House of Commons ended in ignominy when he was pelted with eggs. Once elected, Griffin embarked on a display of nepotism by handing out jobs on his and Brons’s European staff to the party faithful. Martin and Tina Wingfield, Eddy Butler, Clive Jefferson and Chris Beverley in particular were all beneficiaries of his policy of jobs for the boys (and girls). Activists in the North West who had played a key role in Griffin’s campaign were similarly rewarded though one, Alistair Barbour, did not last long in his position as case worker, resigning from his job and party membership after less than six months, disillusioned with the party which he was “sick” of defending against accusations of racism, no doubt because he couldn’t. Griffin’s victory revealed other tensions in the party. Darby stood down as West Midlands regional organiser and was replaced by Alwyn Deacon, a Nuneaton and Bedworth publican. This angered Richard and Tanya Lumby in Birmingham, who believed that the job should have been theirs. It also outraged Chris Turner, the Coventry BNP organiser, who took exception to Deacon following the publication of photos of members of the openly nazi British Freedom Fighters giving “Sieg Heil” salutes outside his pub. Turner, furious that Deacon was not disciplined, resigned from his post. The BNP had hoped to celebrate its European election victory at its annual Red, White and Blue (RWB) festival in August but this proved a damp squib. Party members were few and far between with maximum attendance on the Saturday around 800. The white supremacist Preston Wiginton, who had been invited to the festival, was deported back to the United States upon arrival at Heathrow. Those who attended were regaled with speeches by the Swedish fascist Marc Abramsson and Griffin’s Italian fascist friend and political mentor Roberto Fiore, the convicted former leader of the terrorist Armed Revolutionary Nuclei, who had failed to retain his MEP seat. The RWB provided yet more evidence of the visceral racism of many BNP members when an undercover News of the World team filmed several members engaged in the mock execution and burning of a gollywog doll for “crimes” against whites. Other BNP members were arrested for giving Nazi salutes to protesters against the event, two of whom were convicted of racially aggravated harassment in December. Throughout the later part of 2009 Griffin was becoming increasingly alarmed at the participation of BNP members in the confrontational and racist activities of the English Defence League (EDL), which emerged in March 2009 in the wake of an attempt by a tiny group of Islamist extremists to disrupt the homecoming parade of the Royal Anglican Regiment in Luton. A number of protests across England followed, precipitating clashes with anti-fascists and local residents, which also acted as a magnet for the forces of organised racism despite protests to the contrary from EDL organisers. Griffin dismissed the EDL as both “Zionist” and a state-run “honeytrap”. All of this was a distraction for Griffin, who was busy attempting to coral the variegated forces of the European far right into a homogenous movement. He had tried and failed to precipitate such a union before the European elections but afterwards was pivotal in marshalling its sparse forces into the European Alliance of National Movements, a pan-European party rather than an official group of the European Parliament, which would require the support of 25 MEPs. It was formed too late in the year to apply for EU cash, which was, of course, one of its principal aims. Griffin courted outrage in November when, as his constituents in the North West faced severe flooding, he travelled to a Nazi conference in Madrid as a special guest speaker at a far-right rally held to commemorate the death of the Spanish fascist dictator General Franco. The conference ended in violence after which Griffin appears to have paid a visit to Franco’s tomb, although the party issued a curious non-denial about the story that had appeared in the Daily Telegraph. On his way to Madrid Griffin stopped off in Turin, Italy, a visit organised by Fiore. While Griffin was off grandstanding on the European stage, the BNP was beginning to show a distinct lack of momentum, a sign perhaps of the physical and financial exhaustion brought on by the exertions of the European election campaign. In September Matt Single, the former BNP security guard, was fined £200 for putting the entire BNP membership list online, which made the BNP a laughing stock in 2008. Within two months Griffin was again wincing with embarrassment as he tried to explain how yet another membership list had been posted online despite his claim that such data were now held securely. Further irritation was caused to the BNP when Searchlight exposed its fundraising nexus in Northern Ireland, revealing the pivotal role that Jim Dowson continues to play in the party, which has effectively outsourced central functions to a convicted anti-abortion extremist. For Richard Barnbrook 2009 was certainly not a good year. His election to the London Assembly in May 2008 made Barnbrook the toast of the BNP. His star has now been eclipsed by Griffin’s election as an MEP. Almost immediately Barnbrook lost his two staff members, Emma Colgate who was poached to become the party manager, and Darby who, suspended for racist comments about the Archbishop of York, jumped ship seemingly having lost interest in holding Barnbrook’s hand. Shortly afterwards Barnbrook was suspended from Barking and Dagenham council, where he is the BNP’s deputy group leader, and officially censured by the Greater London Authority for lying about murders. He was forced to issue a public apology which appeared on his own blog and the council website. Autumn brought two historic moments in the history of the British far right. In October Griffin appeared on the BBC’s flagship discussion programme Question Time. His performance, watched by over eight million people, was lamentable. He lied openly and brazenly in response to questions about his past statements, tried to pretend he had not denied the Holocaust by claiming he was legally prevented from saying anything on the subject, despite being assured by the Justice Minister that there was no such law, and defended David Duke’s Ku Klux Klan as “almost totally non-violent”. Perhaps more important, at least to the cosmetic modernisation of the party, was Griffin’s capitulation in the legal case brought by the Equalities and Human Rights Commission (EHRC) that the BNP’s “whites only” membership policy contravened the Race Relations Act. Griffin, who was adamant he would fight the case to the death, caved in only days later much to the chagrin of many members. Having conceded in court, Griffin put the question to the vote at the BNP annual conference in Wigan, where the “voting members”, the party’s key officers and activists, rubber-stamped the decision, perhaps in the knowledge that a protracted legal tussle with the EHRC could bankrupt the party. The new constitution was to have been put to a vote of the full party membership, which Griffin had argued he was constitutionally obliged to do and which the court accepted. However, it is understood that the necessary Emergency General Meeting will now take place several days after Griffin returns to court, depriving members of a genuine say on their new constitution – so much for party democracy. Whatever happens, the BNP will have to unveil its amended constitution soon. What is not in doubt is that its core racist values will remain unchanged. Further proof, if any were needed, was the arrest of another BNP member on terrorism charges, this time in Kirklees. Terry Gavan admitted 22 offences and will be sentenced shortly. A few days after the annual conference the BNP announced that Griffin would be contesting the 2010 general election in Barking, unceremoniously abandoning the voters of the North West after less than six months. Richard Barnbrook had rather embarrassingly already launched his own “Barnbrook for Barking” campaign with a huge billboard on one of Barking’s main roads, though stood aside for Griffin, seemingly on the promise of the supposed sinecure of Leader of Barking and Dagenham Council, which the BNP believes it will win in May. Griffin’s victory in the 2009 European election has undoubtedly coloured perceptions of the success of the BNP in 2009. However, it overshadows a myriad of serious personal, political and financial problems that have continued to affect the party, which, by any measure, should be performing far better than it is in the current dismal political and economic climate. Although it currently claims 13,000 members, with another 3,000 waiting to join after the lifting of the membership freeze arising from the EHRC legal action, Searchlight intelligence suggests that the number has barely changed from the 9,801 recorded at end of 2008. Whether all these troubles will continue to hamper the BNP in 2010 as it vies to elect its first MP and seize control of its first council only time will tell. A man who admitted making nail and ball bearing bombs at his West Yorkshire home has been jailed for 11 years. Terrence Robert Gavan also pleaded guilty to six counts of having or collecting documents useful in terrorism. The 38-year-old from Batley was arrested in a raid by police at his home in May 2009, the Old Bailey heard. The arsenal of weapons and explosives included home-made shotguns, pen guns and pistols. Sentencing Gavan, Mr Justice Calvert-Smith said his case was “unique” because of his long and persistent manufacture of guns and explosives. Gavan pleaded guilty to a total of 22 charges at Woolwich Crown Court last November. More on Gavan and his links to the BNP here. List of EU Fifth Columnist Common Purpose Graduates Revealed The list of EU trained Ffith (sic) Columnists in the media, police and prison service have been revealed here (link given). Write those names down and remember them. This course, according to the link he gave, is an annual course that seems to have taken place over the past decade or so. So far so good. But, according to LJB and others of the far-right, it is an EU course designed by the great conspiracy called the "freemasonry Bilderbergs", including all sorts of powerful people (the "global elite") who want to keep us ordinary folk cowed into submission so that we accept the 'common purpose' of one world government and individual microchipping. I'm not making this up, it really is a BNP and far-right belief, almost an article of faith, although I may be a little shaky on the details. The BNP's legal director claims to have discovered a list of names of men and women now working in Norfolk, mainly Norwich, in our schools, prisons, police stations, probation services, colleges, and the UEA. These names and places of work are given but I doubt I am legally allowed to link to them, although the BNP's legal director does. The people indentified should be aware that their names are being trafficked on far-right sites as graduates of the EU Matrix courses "committing treason and destroying our children's futures", in the words of the link given. If anyone knows anything about this Matrix course and why it is upsetting the BNP's legal director so much, please let me know. Not everyone knows this. Probably, according to both parties concerned, there was a deliberate media blackout. A news clampdown about the fact that a great meteor was hurtling to Earth and impact was due - yesterday. Somehow the legal director of the BNP got wind of the attempted cover-up when a mate of his tipped him off. He sent the message out on his famous Earth-alerting blog, and BNP members immediately rallied to the cause. With ray-guns manufactured from everyday kitchen objects according to plans downloaded from the internet, the BNP members, watched by supporters and awed family members blasted that meteor right out out of the sky, and saved us all!! Hard to believe? Well, here we are, still on Planet Earth, and none the worse. Hang on a minute. Perhaps I got that story slightly wrong in some details. This is the other version. Some religious extremist was proposing a march though Wootton Bassett, and some far-right fanatic was proposing to stop any such march. So two posturing, would-be-macho primates roar and beat their chests in total disregard for the inappropriate vulgarity of the display. It makes a great story, except for those of us fed-up to the back teeth with posturing males acting out their problems in public. No march took place, so the far-right ideologists claimed victory over the far-right religious. It must have been the ray-guns! Or the threat of counter demonstrations, or something. The proof that the far-right ideologists of the BNP and EDL won is that no march took place. It's so obvious. And Planet Earth is saved. The British National party is facing a crisis in the run-up to the general election after it emerged that Nick Griffin, its leader, could be jailed over its illegal “whites only” membership policy. Whitehall officials believe Griffin will be unable to comply in time with a court order forcing him to change the BNP’s constitution to admit Asians, blacks and members of other ethnic minorities. They say the BNP’s membership is not due to vote on the constitutional change until after the court deadline expires towards the end of this month. Trevor Phillips, head of the government’s equalities watchdog, which won the legal ruling three months ago, has instructed his lawyers to be ready to ask the court to impose crippling sanctions, including a heavy fine or possible jail term against Griffin and Simon Darby, the BNP’s deputy leader. If successful, the move could paralyse the right-wing party at a time when many at Westminster believe it is on the verge of winning its first seat in parliament with the support of disillusioned former Labour and Tory voters. Officials question whether the head of a political party who has been imprisoned, fined or has had his assets sequestrated could continue to be its leader. The legal action began last year when the Equality and Human Rights Commission issued county court proceedings against Griffin, Darby and Tanya Lumby, another senior BNP official. The watchdog argued that the BNP’s constitution was unlawful because it restricted membership to particular ethnic groups and those whose skin colour is white. Last October Judge Paul Collins agreed and awarded costs against the party. Griffin was forced to order a freeze on membership applications. The court gave him until January 28 to persuade the party to change its constitution and allow non-whites to join. However, Griffin is unlikely to be able to deliver the change in time. The BNP likes to present itself as a party that tells the truth, unlike mainstream political parties that rely on lies, misrepresentation and spin, but have yet again demonstrated that this is far from the case. Former Archbishop of Canterbury, George Carey, recently wrote an article for the Times on immigration and the rise of the BNP. Carey was immediately denounced by the BNP Legal Director as an ‘idiot’ working for ‘Zionists’, but the BNP’s official statement on the article has wisely avoided following Barnes’s line (as it usually does). The BNP website’s take on Carey’s article (‘Lord Carey predicts BNP victory in Dagenham’) puts a typically dishonest spin on what he actually said. From the BNP’s commentary, you’d think Carey was on the verge of joining the party and it appears that he has endorsed them. He also acknowledges that the million people who voted for the British National Party at the European Elections had genuine concerns about both overpopulation and the ability of this nation to integrate new communities whose values are sometimes very different, even antithetical, to our own. 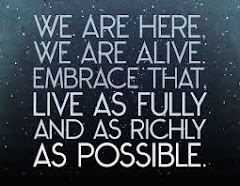 The fact is that a rise in the UK population by ten million in two decades will put our nation’s resources under considerable strain, stretching almost to breaking point the enormous reserves of tolerance and generosity of the British people. The declaration by no means spells out a halt to immigration. In fact we welcome the contribution of both economic migrants and asylum seekers to our lively cosmopolitan culture. But we urge a return to the levels of the early 1990s, about 40,000, compared with 163,000 in 2008. Failure to take that action could be seriously damaging to the future harmony of our society. Last year nearly a million votes were cast for the British National Party. We cannot ignore the fact that such far-right groups exploit genuine concerns about both overpopulation and the ability of this nation to integrate new communities whose values are sometimes very different, even antithetical, to our own. He then went even further, and predicted that the British National Party could win the parliamentary seat of Dagenham at the General Election. He said that people were supporting the BNP because it was the only political party echoing the sense of unfairness that many people felt about immigrants, economic migrants and bogus asylum seekers coming to Britain and availing themselves of our social services and our jobs. In Dagenham, where I was brought up, there is a very real danger that a white working-class electorate, alienated by far-reaching social change and largely ignored by the mainstream parties, could vote for a BNP Member of Parliament. This would be a tragedy in our long history of parliamentary democracy. Yet we play into the hands of the far Right if we do not seriously address the concerns that have led to some otherwise decent people supporting modern-day fascism. For some reason, the BNP’s statement fails to offer a link to Carey’s article. I wonder why that is? To hear the phrase “Christian Britain” coming from the mouth of Nick Griffin made me shudder. It was the most chilling moment of Question Time, perhaps better described as the Nick Griffin Show. And what a pity that none of the other panelists challenged Griffin’s deceitful attempt to align his despicable policies with Christianity. This squalid racist must not be allowed to hijack one of the world’s great religions. All of us who believe in tolerance and decency must stand shoulder-to-shoulder in rejection of Griffin’s notion that “Christianity” has any place in his bigotry. I tend to agree that the BBC was mistaken to give the BNP such prominence. To use Margaret Thatcher’s phrase, it was the “oxygen of publicity” that propelled the insignificant and undeserving party into the Big Time. The BBC’s Director General errs in arguing that in a democracy all views should be heard. The views of the BNP are not simply false, they are dangerous, indeed irredeemably evil. Nevertheless, ‘Any Questions’ DID expose Nick Griffin’s views to public scrutiny. What we saw on our screens was a 21st Century pipsqueak heir to Hitler and Mosley. If the public believed beforehand that support for the BNP was a protest vote against remote or out of touch politicians, they were proved wrong. The BNP leader was unveiled as a sly, shifty figure who would hide unpalatable truths, and cynically spin regardless of the truth, for the sake of votes and funds. The former Archbishop of Canterbury, Lord Carey, has been strongly criticised for backing an attempt by anti-immigration campaigners to turn migration into a confrontational election issue and for appearing to want migrants who accept 'Christian values' to have priority. A group of largely Conservative politicians, backed by Lord Carey, Baroness Boothroyd and Labour's Frank Field MP, issued a call on 6 January 2010 for manifesto commitments from the main parties to drastically reduce net immigration to the UK to 1990s levels and to except a population cap of 70 million. However, data from the Office of National Statistics released in November 2009 concluded that net migration – the number of people who come to live in Britain minus the number who move abroad – actually fell by more than a third to 163,000 in 2008, its lowest level since Poland joined the European Union. Immigration reached 590,000, with the largest single group comprising 85,000 British citizens returning to live in the UK. That total compares with 574,000 in 2007 and 596,000 in 2006. The 'Balanced Migration' campaign, which has the backing of the established anti-immigration lobby organisation Migration Watch has been received enthusiastically by Britain's tabloid newspapers. It says it is attempting to thwart the political progress of the far-right British National Party. However, critics - including church figures, human rights activists and refugee and asylum campaigners - suggest that accepting similar assumptions to the BNP and proposing policies which look like watered-down versions of theirs, is part of the problem, not the solution. Meanwhile, Lord Carey is in trouble for appearing to suggest that Christian migrants should be given priority over others. According to a Daily Express article by Alison Little, headlined 'Let Christian migrants in first, demands Carey' and a Times opinion piece by the former archbishop entitled 'Migration threatens the DNA of our nation' (7 January 2010) he stressed however that he did not want to prevent non-Christian immigrants from entering the country. Lord Carey is living in an unreal world. Church offices and local clergy face daily frustration around immigration issues for members of churches, international theological students and visiting church officials. Immigration controls are biting and biting hard, creating many pastoral problems including the forced separation of families. Obscurely worded rhetoric about supposed 'Christian values' and British society is far removed from the coal face. We so desperately need church leaders to devote time and love for our Christian brothers and sisters languishing in Britain’s deportation centres - and for all people fleeing misery and persecution. Lord Carey's interventions let down hard-working clergy in his own Church and others who are supporting desperate people. Christian teaching. Christians believe in the protection of life and a just stewardship and sharing of the earth's resources. Without immigration we would need to take some very drastic decisions about who could and who could not live. This is a life and death issue for many. We are faced with a changing demography which will either require the UK to have a smaller population with fewer elderly people or a larger one which has a sufficient base of people who are economically active to support the larger number of people who are not. Numbers are not the issue. In place of populist and vacuous statements and sterile debates we need urgent action to create international agreements on the movement and exchange of labour, peace-building, ecological responsibility and respect between people of faith. In his Times article Lord Carey responded to interpretations of his earlier remarks which had been construed by the BBC Radio 4 Today programme and the Express as wanting Christians as a group to be given priority. He wrote: "what I am saying is that those who seek to live in this country [should] recognise that they are coming to a country with a Christian heritage and an established Church." Carey also wrote: "[t]he sheer numbers of migrants from within Europe and elsewhere put the resources of Britain under enormous pressure, but also threaten the very ethos or DNA of our nation." On BBC Radio FiveLive's breakfast programme, Lord Carey responded to broadcaster Nicky Campbell's question "So because we want people with certain values, it's more likely that they will come from Christian countries?" by saying, "Exactly"
But senior Welsh churchman and ecumenist the Rev Aled Edwards OBE, responding on his website, said: "Lord Carey’s discussion around matters of faith is deeply problematic. Migrants who wish to enter the UK lawfully cannot be discriminated against on the basis of their religion or belief." He went on: "His sense of the ‘DNA of our nation’ will not be shared by many good British citizens of different faiths and of none. The UK now also has three devolved Governments containing parties with a sense of national identity that isn’t primarily British. This reality impacts increasingly on faith communities. The notion that migrants to Wales should be made to believe that they live in a country with an established church is as quaint as it is erroneous. Wales has no established church." The evangelical Jubilee Centre commented: "Irrespective of whether it is even realistic for politicians to set population targets, our response to this widely-felt concern should surely be tempered by compassion." There is something profoundly uncomfortable about taking one faith and stating that its members are by nature more democratic, particularly given that Christianity is by no means monolithic... Let's not pretend that Christians always, by default, do democracy... Christianity is the dominant religion in Belarus, the last remaining dictatorship in Europe. So, too, in Zimbabwe. The call for a cap on immigration is said to be motivated in part by a desire not to play into the hands of the far right. But stirring up divisions along religious lines risks doing just that. Isn't all this debate yet another argument for keeping religion - any religion - out of politics? Amidst ankle deep snow it has been busy as normal for me and my colleagues this week. After a short break for Christmas and the New Year we are back at work and focusing our minds on the pending local and General elections. We will shortly be opening a base in Barking & Dagenham, Billy Bragg has agreed to perform a full set at a fundraising gig we are holding on Saturday 6 March and a HOPE not hate campaign plan has been agreed with the Daily Mirror. It is a busy period but it needs to be as we have a long battle ahead. The BNP is likely to contest over 200 parliamentary seats in the General Election and up to 1,000 council seats. The main threat is in Barking & Dagenham, where they could take overall control of the council, and Stoke-on-Trent, where they could become the largest single party. There is even a chance that Nick Griffin could win the parliamentary seat in Barking. Across the country we have identified 102 council wards at risk to the BNP. It is not going to be easy but with your help, your continued involvement, we can win. Without the hard work of HOPE not hate activists the BNP would have won more MEPs last year. More recently, we have proved in successive council by-elections that we can beat the BNP in their strongest areas. The 2010 HOPE not hate campaign will be our biggest yet. For it to be successful we need everyone to get involved. I’m excited about the coming months. I’m sure we are going to have our ups and downs but I’m really confident that we can drive the BNP back in the gutter where they belong. If you would like to volunteer to help keep the BNP and its far-right chums out of Norfolk, please email hnhnorfolk@gmail.com with your contact details. Hope not hate, Norfolk will be active as the elections approach, and all the team look forward to some lively canvassing and campaigning in the weeks ahead. The British National Party’s deputy leader has admitted that the party lies to gain financial advantage. A document filed with the Electoral Commission showed that the BNP exaggerated its spending during the European election, in which it gained two seats. Nick Griffin, the BNP leader, has often said the party spent more than £500,000 on the campaign, especially when asking his members and supporters for more money. But figures released by the Electoral Commission this week show that the fascist party spent just £282,843, only £54,000 more than it did during 2004. Simon Darby, Griffin’s deputy, told a reporter from The Times that the party needed to exaggerate because “if we had said we wanted to spend 10p, it wouldn’t do us any good … there’s a bit of hyperbole with politics”. He refused to comment further on the discrepancy, saying that it was not a “worthy question”. During the European election campaign the party claimed to have met its fundraising target of £390,000. An email on 22 May, two weeks before polling day, announced that the party had only £17,495 still to go. There was also a thermometer-style graphic on the party’s website, which eventually reached the top after unsteady progress. Those who gave in response to the numerous calls for donations will be wondering whether these figures were another lie or, if true, what Griffin did with the rest of the money. One clue may be the rumour, currently doing the rounds on fascist and anti-fascist forums, that the BNP paid “£336,208 in the first 11 months of 2009 to three Dowson controlled entities”. We have no way of judging the truth of this figure, to which only a handful of people in the BNP or around Jim Dowson, would have access, but we have long maintained that Dowson, a militant anti-abortion campaigner with a string of criminal convictions, who provides management and fundraising services to the BNP, has “bought” the party. It is Dowson who runs the BNP’s main call centre in Belfast, owns the “truth truck” advertising lorry, which Griffin regularly lies that the BNP has “bought and paid for”, and arranged the printing of the party’s 28 million European election leaflets last year. Darby, probably realising that his anger at being asked probing questions by the Times journalist, whom Searchlight knows to be highly professional, had led him to speak unwisely, later claimed, amid a string of insults, that she had “twisted and distorted” his words. He and Griffin now refuse to speak to her. Meanwhile the BNP has tried to divert attention from the lie by claiming that it ran a more efficient campaign than the four bigger parties in terms of amount spent per vote received. Its £282,843 equated to 29p per vote, compared to 51p for the UK Independence Party and higher amounts for the three main parties. Naturally the party failed to explain why it had claimed spending of £500,000, which would have been similar to the UKIP’s cost per vote. And it was no surprise that supporters commenting on the website article also avoided the awkward question and had nothing but praise for the party. Nor has anyone on the BNP website expressed any concern that the party’s latest accounts, covering 2008, do not comply with the requirements of the Political Parties Elections and Referendums Act 2000, as the party did not maintain adequate financial records. The BNP’s former treasurer may yet face prosecution for this. You would have to have a heart of stone not to laugh (Denise writes in reference to the Times article posted below). Other facts that came out of the accounts have already been highlighted on here, but two that deserve further mention concern membership numbers and the extortion of a massive loan from the Regional Accounting Unit - that is, BNP members' hard-earned money, paid over to benefit their local branches and groups. On the matter of membership, the BNP's own figures for 2007 were 9,784. We all remember the hype about "rocketing membership figures", "hundreds joining", "best year ever" etc., etc. The BNP's figures for 2008 were 9,801 - an increase of just 17! This begs the question as to how many of the alleged 4,000 apparently wetting themselves as they wait to join the BNP when the membership block is removed will turn out to be real and how many figments of Nick Griffin's fertile imagination. On the matter of the "loan" made by the BNP's Regional Accounting Unit (RAU) to the central party, it seems that the membership has been well and truly turned over. One of the most interesting items listed in the RAU's 2007 accounts was an acknowledgement that “During 2007 central office borrowed from the regional accounting unit", borrowings that were to be repaid by monthly standing orders. ... the party owed the Region £42,000 and the reason why this is the case is that it had insufficient funds, which places doubts on the ability of the Party to repay this money. In 2009 certain costs were incurred on behalf of the Branches, by the Central Office, in connection with the European election. These are to be recharged, and will cover the money due by Central Office to the Branches. So, "certain costs", unspecified, and "in connection with the European election" - and that cancels the debt owed to the branches on a loan they were never consulted about making? How many times over did the BNP membership pay for Nick Griffin's Euro-seat? Or did this money really go elsewhere? The RAU's treasurer (and supposed guardian of the branches' interests) David Hannam and his good friend Nicholas Griffin have some serious questions to answer, and we can but hope that they eventually come to be answered in the proper place, because we are certain sure that the gullible sheeple of the BNP will never have the wits to challenge the parasites who have for so long fed on them with such unalloyed contempt. Let's hope that AT LAST the BNP membership will see the nasty conmen leading the BNP for what they really are - exploitive cynics who care for nothing but their own deep pockets.